35 Pics of the Colorful Revelers Who Came Out to Celebrate Pride in Washington, D.C.
Tens of thousands of people attended Washington D.C.’s Capital Pride 2018 which featured a parade on Saturday and a concert and festival on Sunday. It was supposed to rain, but the rain never came, and the overcast weather, kept the temperatures in the cool ’80s, allowing folks to dress with style and enjoy themselves with ease. Dennis and Judy Shepard, parents of Matthew Shepard — the gay 21-year-old murdered in 1998 — served as the Grand Marshals in the 1.5 mile parade. 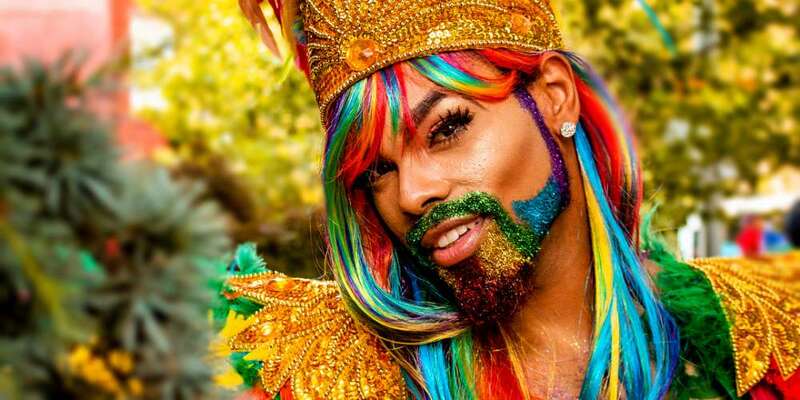 Overall, the parade featured around 200 floats from LGBTQ groups and businesses, both local and national. 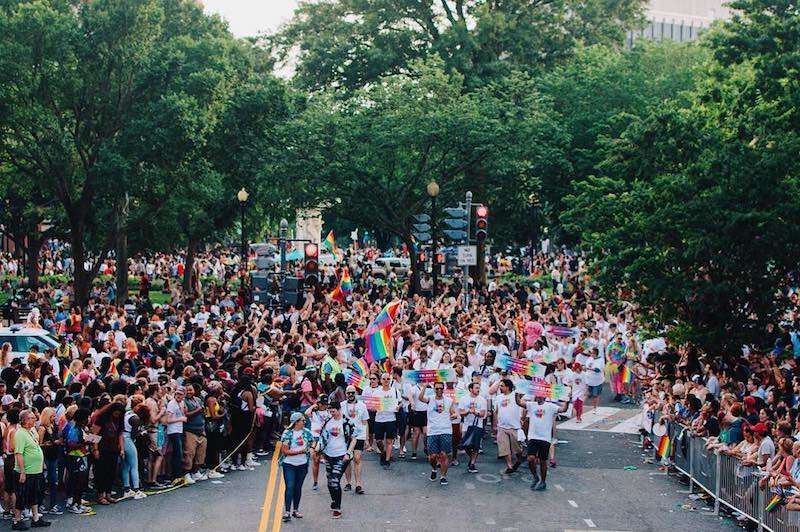 Among the many elected officials who marched in the Capital Pride 2018 parade, the Washington Capitals hockey team had a float which received lots of cheers, particularly because they recently won the National Hockey League’s Stanley Cup championship. However, no players from the team appeared on the float itself, reportedly because they were attending another celebratory event on the same day in recognition of their national win. The local queer liberation group No Justice, No Pride didn’t make an appearance at the Capital Pride 2018 parade after notoriously protesting last year’s parade. Among the list of demands the group issued to Pride organizers in April 2018, they asked to exclude corporations connected to weapons manufacturers. Despite this request, both Northrop Grumman and Lockheed Martin had floats in this year’s parade. Over 300 local and national organizations set up booths on Pennsylvania Avenue for the Sunday festival, including some LGBTQ groups from federal agencies like the Department of Homeland Security and the FBI, even though President Trump didn’t officially recognize June as Pride month. At the Sunday concert, Asia O’Hara from Season 10 of RuPaul’s Drag Race performed as did Australian-South African singer-songwriter Troye Sivan. The cream of the crop (tops). 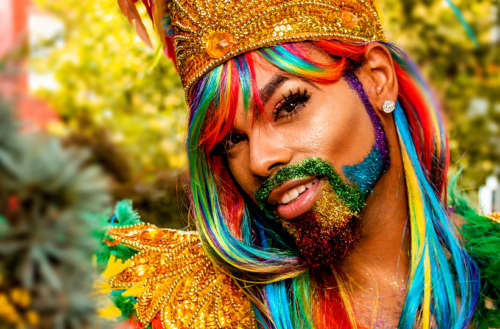 #DCPride ? Thank you @jvfronk and @lookyluke for hosting us for an awesome DC Pride weekend! So much fun hanging out with you guys. #elementofus #capitalpridedc #pride2018 Festival and Concert begins at 12noon! Come on down ??? Did you go to Capital Pride 2018 (or wish you did)? If so, tell us about it in the comments.